Applied Materials:River pebbles, rocks (limestone, granite, basalt, diabase, andesite, etc. ), ore tailings, artificial sand stone chips. 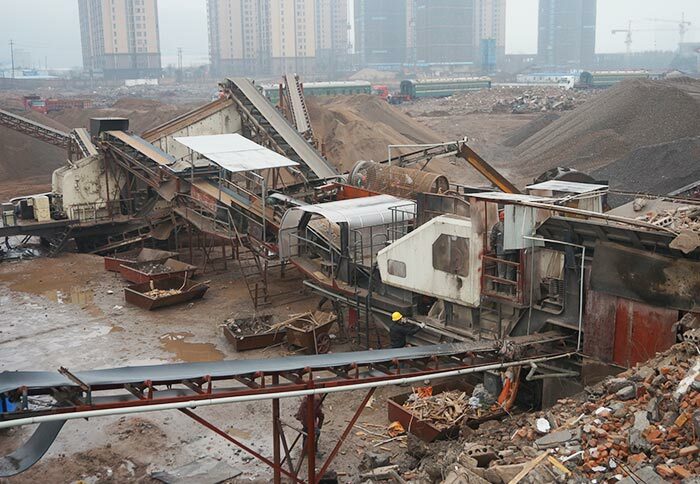 Tracked cone crusher adopts various design type of the crushing chamber to meet the rough, medium, fine and ultra fine crushing operations of materials, so as to create aggregates with high-quality grain type. It is widely used for the crushing and screening operations of rocks with various hardness such as iron ore, copper ore, granite, basalt, etc. Its highest yield is up to 500 tons. 7. The equipped international brand diesel engine has met the Euro three emissions standards. 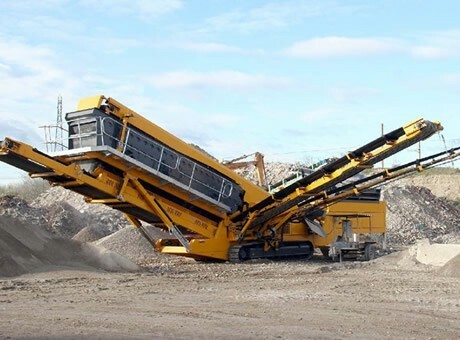 The successful research and development of crawler mobile cone crusher has met the market demand, which guides customers to reduce costs, lean production and improve the working efficiency with scientific concept. It is warmly welcomed by large numbers of building materials, construction waste, opencast coal mine, mining, sand and cement companies. Tracked mobile cone crushing plant mainly consists of efficient cone crusher, vibrating screen, high performance motor, control box, belt conveyor, etc. The whole equipment has integrated installation and coordinated operation, which fully embody its convenience and flexibility. Tracked cone crusher can be customized according to customer requirements. 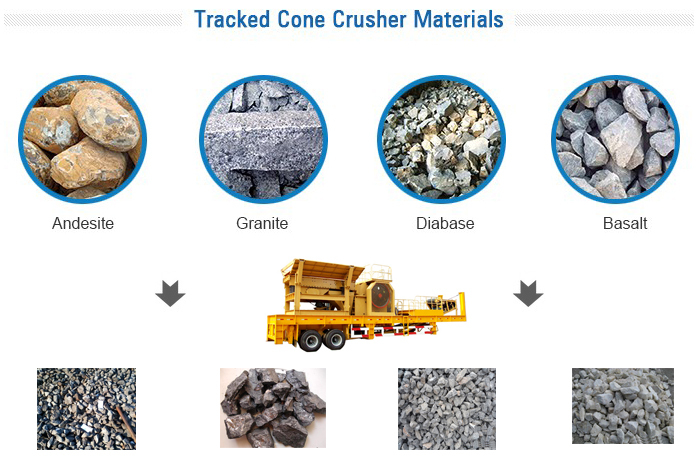 We can customize cone crusher, vibrating screen, motor and other equipment in strict accordance with actual production site for customers, which has large capacity, high efficiency, fine crushing strength, strong adaptability, etc.